Summary: The FDIC offers insured banks opportunities to connect with young customers through the Youth Banking Network. Should your bank participate in this program? The Centers for Disease Control (CDC) ranks heart disease as the leading cause of death for both women and men. 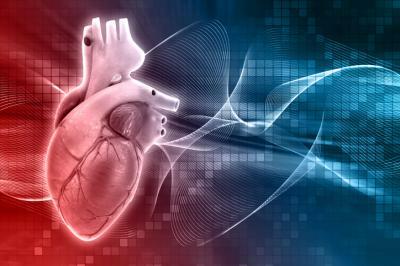 That's why we were very interested in news that Duke University biomedical engineers have reportedly created the world's first artificial heart muscle. Doctors say this is important because heart muscle does not regenerate after a heart attack, but instead becomes scar tissue. It looks like the Blue Devils of Duke have created tissue in the lab that functions as a heart muscle that could solve this problem and extend lives. Awesome! Community bankers are always looking for new and devilish ways to engage with customers too - especially the younger ones that grow up to be true fans. Research finds that when school-based youth savings programs are combined with financial education, students can improve their long-term financial and education prospects. That's why we were intrigued by an opportunity the FDIC offers insured banks known as the Youth Banking Network. The program provides opportunities for banks to bring financial education to students in various forms. These can even include a very compelling student-led bank initiative. At present, the FDIC's Youth Banking Network membership consists of 47 banks and at least several of these banks have opened school-based branches, run by students. We find the concept of these student-led branches interesting and perhaps even fun. Typically, these branches are only available for students, faculty and staff. These customers come into the branches to transact business and give students important customer-service experience. In the process, students learn about money and the business of banking. Meanwhile, the bank potentially builds a pipeline of future customers and possibly even employees. Certainly, the Youth Banking Network program offers additional ways for banks to foster financial education, beyond just student-run banks. According to an FDIC report, many at-risk students in one participating school became motivated to stay in school and improve their grades when they served as student-bankers or peer financial educators. In another example, high school student bankers opened 22 accounts at their in-school branch after providing financial education to just one class. At another school, based on data collected, administrators learned that students who completed six hours of financial education were more likely to apply for college or internships than students who did not. Requirements are straightforward for banks interested in becoming involved. There is no reporting requirement for banks that want to participate or specific time commitment. To participate, your bank must be an FDIC-insured institution that is working, or planning to work, with a school, school district, or nonprofit organization that serves youth under age 18. The program must allow young people to open a savings account at an FDIC-insured institution. You also need to provide youth financial education, either directly or in collaboration with a partner school, school district, or nonprofit organization. Finally, banks must be in operation for 3Ys or more. To be sure, the benefits of participating could be notable. Banks that participated in the pilot found opportunities to improve the financial future of children, build trust, earn CRA credit, and source future customers. Interested banks can reach out to the FDIC or find more information online. There may also be certain state restrictions on minors opening bank accounts, so be sure to do your homework. But, if you're looking to bring the younger generation on board, this program could be a great way to build some muscle with possible future customers and employees. Yields tumbled 6bp despite the FOMC rate hike, as core inflation came in lower than expected. The Fed announced three new reference rates banks can use instead of Libor, as that index is scheduled to be phased out in 2021. The new indices are based on overnight repurchase agreement (repo) transactions that are secured by Treasuries (risk free rates). The indices are known as the Secured Overnight Financing Rate (SOFR), the Triparty General Collateral Rate (TGCR) and the Broad General Collateral Rate (BGCR). SOFR is the broadest measure of overnight Treasury financing transactions and is the recommended alternative to Libor. Meanwhile, TGCR will be based solely on triparty repo data from Bank of New York Mellon and BGCR will be based on triparty repo data from Bank of New York Mellon and General Collateral Finance Repo data from The Depository Trust & Clearing Corporation (DTCC). All rates will be produced by the Fed NY beginning in Q2 2018. 1) Heartland Financial USA ($10B, IA) will acquire FirstBank & Trust ($930mm, TX) for about $185.6mm in cash (10%) and stock (90%) or about 2.22x tangible book. 2) SmartBank ($1.1B, TN) will acquire Southern Community Bank ($244mm, TN) for about $31.8mm in stock (100%) or about 1.49x tangible book. 3) South Atlantic Bank ($525mm, SC) will acquire Atlantic Community Bank ($92mm, SC) for about $18.1mm in stock (100%).